CATALINA — Boaters who will be spending the Thanksgiving holiday weekend on Catalina Island can find many dinner options on the island, from a traditional sit-down feast to a Mexican-style Thanksgiving meal. In Two Harbors on Nov. 24, boaters can enjoy a large traditional Thanksgiving dinner at the Harbor Reef restaurant, where diners will be given the option of ordering a whole turkey or a plate dinner. The whole turkey dinner, carved at the table, also includes all the traditional Thanksgiving sides. To make reservations, call (310) 510-4215. In Avalon, boaters can choose from a variety of menus. El Galleon Restaurant, Antonio’s Pizzeria & Cabaret and Mi Casita will offer boaters special Thanksgiving dinners throughout Thanksgiving Day. 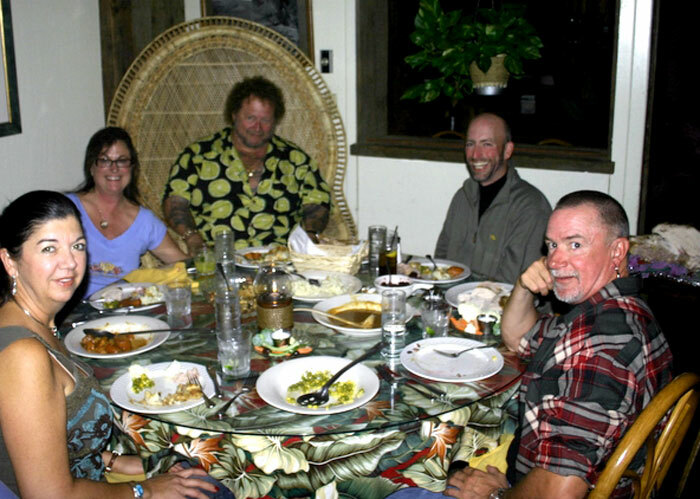 Dinner options at El Galleon include an old-fashioned Thanksgiving dinner with a choice of a whole tom turkey or a pit ham with traditional fixings, or a “Catalina Thanksgiving” dinner that includes turkey, side dishes and lobster caught off Catalina. Each dinner starts with a crisp dinner salad, fresh-baked sourdough bread and butter — and includes stuffing, mashed potatoes, gravy, candied yams, fresh vegetables and cranberries. Dinner reservations at El Galleon are available for 11 a.m.- 9 p.m. Thanksgiving Day. A full bar and karaoke will be available. El Galleon’s regular lunch and dinner menu will also be offered, featuring steaks, fresh fish, prime rib, live Maine or local lobster, fresh abalone and barbecued ribs. For reservations, call (310) 510-1188. Antonio’s Pizzeria & Cabaret will offer an old-fashioned Thanksgiving dinner that includes a whole tom turkey with all the traditional fixings, including candied yams, Italian stuffing, mashed potatoes with giblet gravy, salad, fresh vegetables and cranberry sauce. Dinner is available from 11 a.m.-9 p.m. Antonio’s regular menu is also available. For information, call (310) 510-0008. Mi Casita restaurant will serve a Mexican-style Thanksgiving meal. The feast includes soup or salad followed with a dinner of fresh whole roasted turkey smothered in pablano mole sauce served with Mi Casita rice, homemade sweet corn tamales, crispy fried sweet potato slices and a choice of flour or corn tortillas. Dinner is available from 11 a.m.-8 p.m. For reservations, call (310) 510-1772.